A new innovation makes plain and ordinary glass doors a thing of the past. Combining fashion and art, the new Deco Waves Collection by Wallpaper for Windows transforms everyday glass doors into unique and stylish points of interest. Cool, hip, modern, retro and fun are the words people used most to describe Deco Wave doors, said Larry Cashion, president of Wallpaper For Windows and the creator of Deco Waves.Whether subtle or eye-catching, people want sliding glass doors, one-light French doors, storm and shower doors that look good and get noticed. The Deco Waves Collection includes three designs, with each available in frost and 10 stained-glass colors. Deco Waves1 features waves that can be arranged to create a variety of custom looks. Deco Waves2 and Deco Waves3 have a fresh, uptown look that brings style and energy to a room. 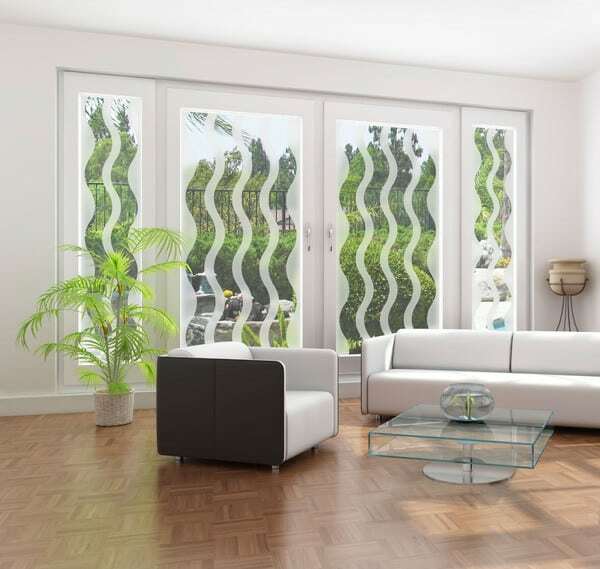 The company reports any homeowner or renter can easily apply the Deco Wave adhesive-free films. The average door is decorated in less than 20 minutes and for a very affordable $35 to $50. When it is time to redecorate or move, the Deco Waves can be removed in minutes and even re-used. These winning new looks for glass doors are available online at WallpaperForWindows.com . 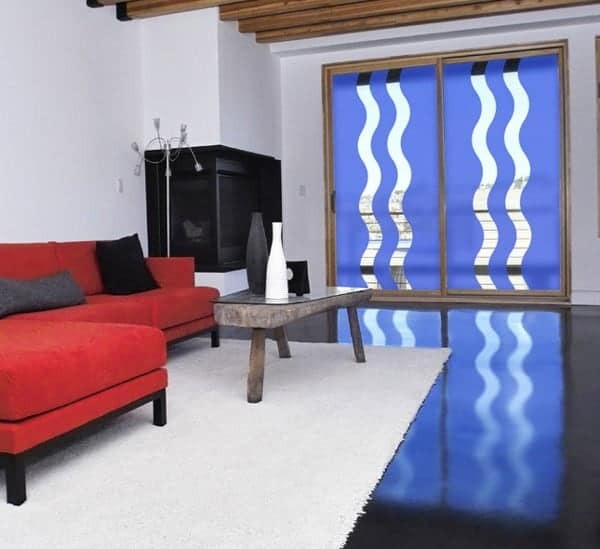 For those that need privacy, Deco Waves can be combined with Wallpaper For Windows privacy films. Since Wallpaper For Windows started the adhesive-free decorative film industry in 1996, it has earned national recognition for its wide array of beautiful products. In addition to the new Deco Waves Collection, Wallpaper for Windows offers a variety of window coverings and decorative accents in etched and stained glass. Prices range from $14.95 to $99. Deco Waves transform everyday glass doors into unique and stylish points of interest. The Deco Waves Collection includes three designs, with each available in frost and 10 stained-glass colors. This post was brought to you by Wallpaper for Windows. Blissdom Canada Here I Come!